While Will Clarke will take the weekend Ironman plaudits from a British perspective, thanks to his Sub-8 finish at Ironman Copenhagen, there were several British Age-Group athletes in Scandinavia this past weekend, securing some fast times and strong results in both Sweden and Denmark. 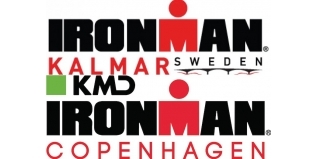 Ironman Kalmar took place on Saturday. It's a fantastic race (you can look back on our visit their in 2012 HERE), and saw two British athletes on the top step of their category podium. Mark Livesey is the husband and coach of British Ironman Pro Caroline Livesey. No stranger to an Ironman podium himself, Mark won the 40-44 category by almost six minutes, recording a personal best time and breaking the nine-hour mark for the first time with an 8:56:36 clocking. That stung a little! 8.56.36 finally sub 9 at @IMKalmar today. Theresa Abbott is no stranger to Kalmar. She won the 60-64 category there last year and qualified for Kona. This year she improved her time by 45 minutes, won again, and will be off to Hawaii too. She had to go faster... her margin at the finish was just 53 seconds! No British Age-Group winners a day later in Copenhagen, but Louise Harris (3rd, F35-39) and Dave Ambler (2nd, M60-64) did make the podium and will likely be claiming their awards today.